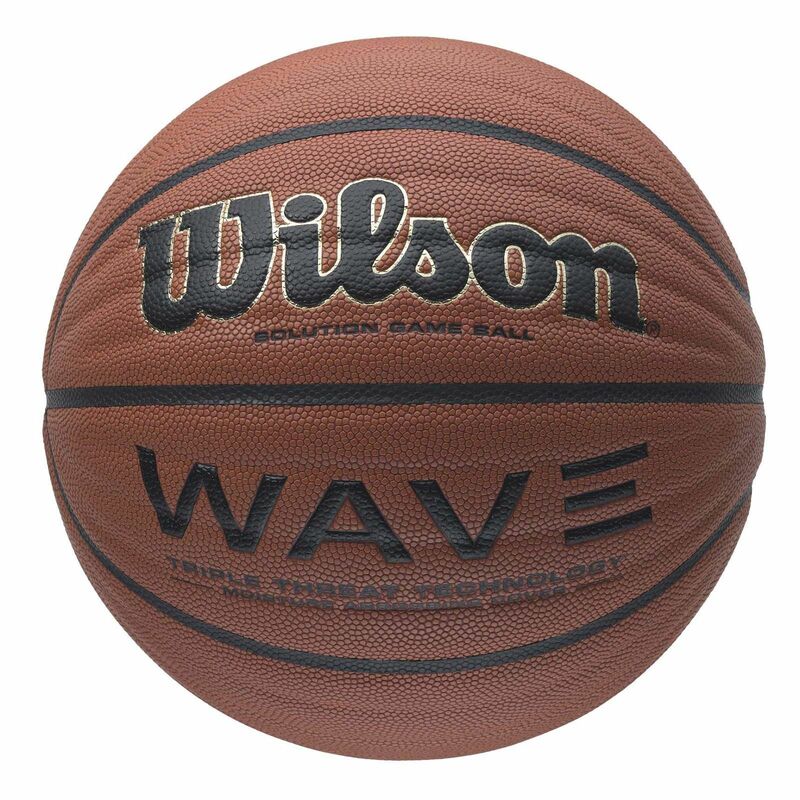 The Wilson Wave Game basketball incorporates the Triple Threat technology which includes 24 extra T3 grooves. This feature results in increased surface area which improves shooting, ball handling and overall grip. This high quality ball is available in size 7 and includes moisture absorbing composite leather cover and pebbled composite channels to further enhance the performance. for submitting product review about Wilson Wave Basketball.